Hand, Foot and Mouth disease is a rather common illness we get as children and babies, and is usually something that will clear up itself within about a week, though it can cause painful ulcers and blisters which can be easily passed on to others, including adults. If it is Hand, foot and Mouth disease, a few days later mouth ulcers may appear on the tongue and in the mouth which can be quite painful causing difficulty eating and drinking. Your little one may also get red spots that develop in to blisters on the hands and feet, which can be sore too. The symptoms of the disease are much the same in both children and adults, though those in adults can be a lot worse. How to treat Hand, Foot and Mouth? Drinking lots of non-acidic drinks will keep your little one from becoming dehydrated. Eating soft foods such as soups that are easy to swallow and don’t take much chewing is the best way of getting food down. See a pharmacist/ doctor about treatments suitable for your child. Your child’s temperature is super high/ they’re feeling hot and shivery. You’re concerned about your little one’s symptoms. If you’re pregnant (though not usually a risk to pregnancy or the baby, it’s best to avoid contact with the infected). How to stop further spreading of the disease. The illness is passed on via coughs, sneezes, and poo, and you’re most likely to pass it on in the 5 days after symptoms begin. Wash your child’s and your own hands often with warm water and soap. Catch germs in tissues when you cough and sneeze, and try to do the same with your little one too. Don’t share towels, cutlery, cups etc. Wash used bedding and clothes on a hot wash.
Keep your toddler/baby off nursery while they’re feeling poorly. They can go back when they feel better even if the blisters haven’t gone. 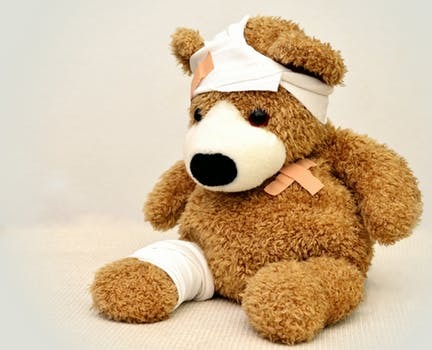 Again, if you have any further worries about your child’s health, contact a healthcare professional for help.